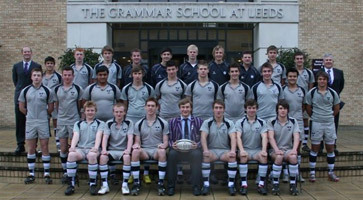 The GSAL 1st XV is celebrating its best season for 47 years, winning 11 matches from 11…a feat unheard of since 1963! Their string of wins came to an end however, when they were knocked out of the Daily Mail RBS U18 Cup by arch rivals RGS Newcastle, although they remain unbeaten for Saturday fixtures. Earlier in the tournament, the GSAL team had beaten RGS Newcastle 25-15, but were defeated 8-3 by them in a return match at home. Head of Rugby, John McKenzie, has now nominated the youngsters for a Rugby World magazine Schools’ Team of the Month Award.